. Published on February 26, 2016 . 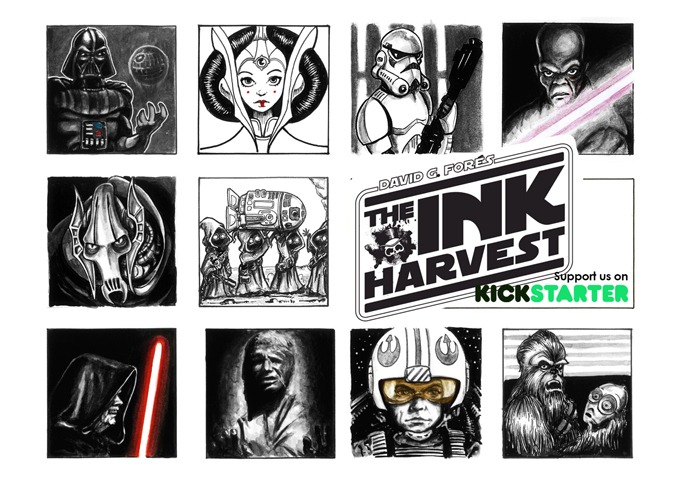 The Ink Harvest is a project by the Spanish illustrator David G. Forés, who has been drawing his favorite saga, Star Wars, for a while and decided to collect around them in a pocket-sized softcover art book. 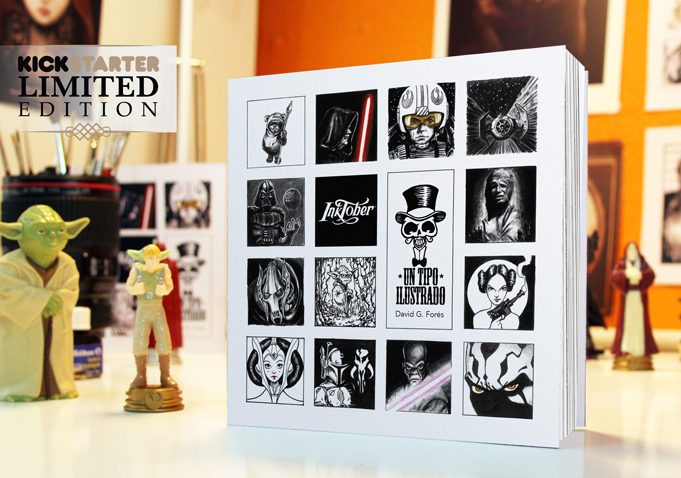 After four successful campaigns on Kickstarter, he presented the project on the platform to look for supporters to this Limited edition art book. The Ink Harvest measures 5.86×5.86 inches, and contains the result of a challenge on Instagram, 31 illustrations and quotes on around 80-pages, all printed in high-quality textured paper. 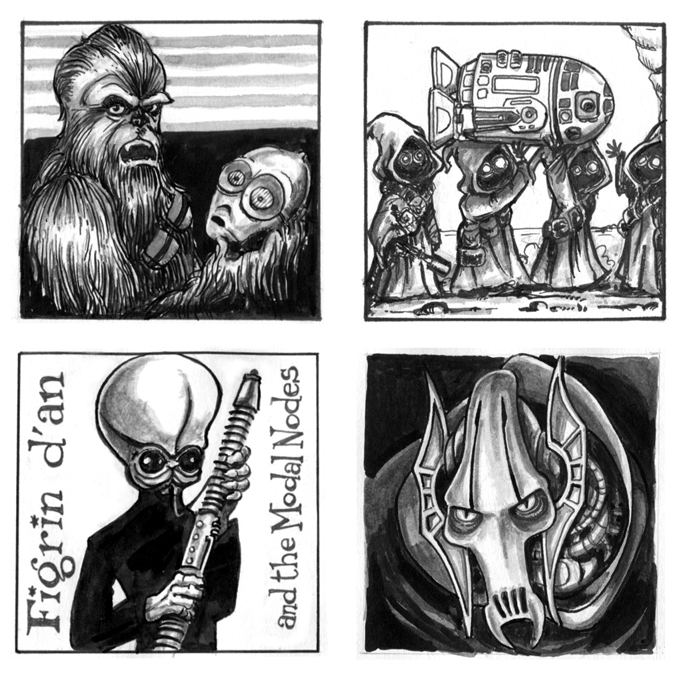 It is the first-ever publication of this artwork that promises to be a wonderful and exclusive edition for every Sci-fi fan to enjoy. 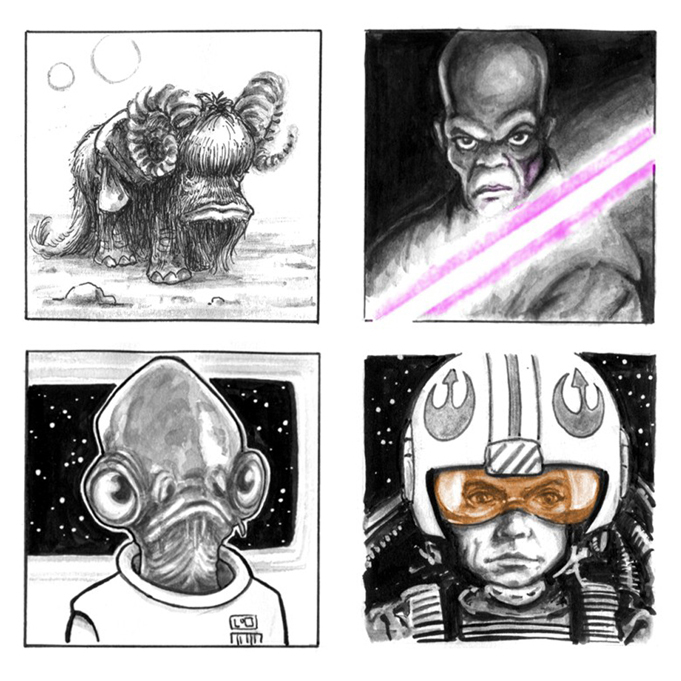 You can find it on Kickstarter until the 3rd of March and won’t be available afterwards. Some of his published previous books are the wonderful Ravings of love & death and Forgotten Colors.